SEO and content marketing go together like milk and cookies — you can’t (or shouldn’t) have one without the other. There are a variety of benefits from SEO. It demands fresh, new content and keywords to ensure your website can rank better. SEO also requires backlinks to your website. And, really great content naturally builds backlinks (for free!) as other brands and individuals link to your blog post. An excellent way to organize your content and help turn strategy into action is through an editorial calendar. This content management tool enables you to plan your content ahead of time for events such as industry conferences and seasonal themes. It also helps you maximize every piece of content you’re producing. 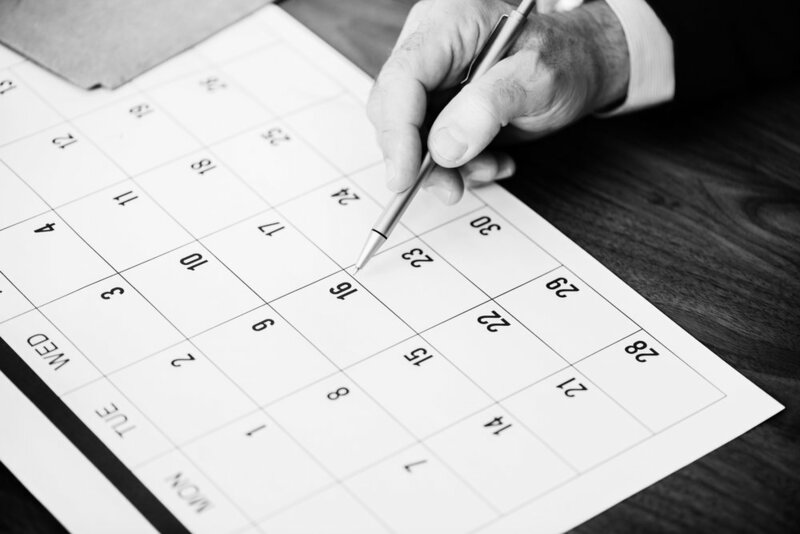 Your marketing team can see the path ahead of them and stay on track with deliverables and deadlines because you can publish and share the calendar. When you’re investing time and resources into content creation, you want to maximize your ROI. This may seem obvious, but if your audience can’t find your content, it won’t produce results. A search engine’s number one priority is serving up results that provide exactly what their users are looking for. With the massive amounts of content on the internet, this is not an easy task. SEO such as keywords, title tags and meta descriptions will make your content favorable for certain search results. So, why should you prioritize SEO? Here are six reasons why I believe SEO is a crucial part of your editorial calendar. An example of how SEO should drive your content strategy is the length of your content. The average length of a piece of content that ranks on the first page of Google is 2,000 words. So, why would you spend your time creating an editorial calendar with 30 short posts? Instead, you should create an editorial calendar with 10 really great, high-quality posts that are lengthy and in-depth. Even though you’re posting less, you’re likely posting close to the same amount of new content and keywords to your site. An example of a website that does really great in-depth articles and has an industry best blog is CoSchedule. SEO drives organic traffic to your website and in turn drives up the revenue for your business when those hoards of new visitors convert. According to Smart Insights, the third organic position of Google will drive 12 percent of clicks to a non-branded search result. So, hypothetically if you were able to rank in the third position for a keyword that had 6,600 searches a month, you would receive approximately 1,980 clicks from these monthly searches, which is 23,760 (FREE!) visits to your website a year for one blog post (see graphic below). This is much better than paying for search engine ads to drive 23,760 visits to your website! Let’s take the above hypothetical example and include a price with it. Let’s imagine a keyword that gets 6,600 searches a month and the cost-per-click (CPC) is $3.20. Now, if you drive 1,980 organic clicks a month to your website for that keyword term, that is a cost saving of $6,336 a month and $76,032 a year. (Wowza!) And this is for one blog post that you will likely spend no more than $200 for a freelancer to write, plus the time and energy of an internal employee who edited and posted it. Imagine if you ranked for 100s or 1000s of keywords that drove this type of cost-saving traffic to your website and didn’t have to spend on search engine marketing anymore. This type of savings model from organic traffic is essentially why brands partake in content marketing! For example, what if you wrote a piece of content titled, “How to Do SEO Keyword Research” and the term “SEO keyword research” has a volume of 400 searches a month with a keyword difficulty of 73. But, with a little bit of keyword research using a tool such as AHREFs, you can discover that a keyword opportunity exists with the keyword phrase “Google search tools,” which has a monthly search volume of 2,600 and a keyword difficulty of only 26. Instead of writing “How to Do SEO Keyword Research” you might instead write “Guide to Using Google Search Tools for Content & SEO,” which could be easier to rank and drive more traffic if so. SEO simultaneously helps to make your website more navigable not only for search engines but also for users. SEO should include paying particular attention to a site’s architecture and links to make pages within the website easier to find and navigate. This focus on navigation and links also makes it easier for search engines to crawl your site and find pages, and makes it easier for users to get the information they are looking for from your website. Since top position rankings on Google result in significant impressions from people searching for those terms every month, your brand and website are both naturally exposed to more awareness by holding one of these top search positions. If 60,000 people a month search for a key term that serves your business up as a top result, then the majority of 60,000 people will see your business and website every month! That’s huge exposure. Plus, appearing on the first page of Google for your main target keywords not only helps users associate your brand with those search keywords, but it also helps instill trust with your potential customers since companies on the first page of Google are perceived to be more trustworthy. A good content marketer likely has a different skill set than an SEO professional does, but it doesn’t mean the two areas should work separately. At all. Maximize your content potential and increase your search traffic at a faster pace by combining your content marketing and SEO efforts. If you’re a content marketer that doesn’t have access to an SEO professional, then read up on SEO tactics so that you’re maximizing SEO efforts in your content marketing calendar each month.